As tech companies grow, so has the popularity of reverse engineering. Reverse engineering is the process of disassembling a product or component in order to study it to find out how and why it works. From exploring incomplete design data and understanding design flaws to sustaining competition, the advantages of reverse engineering are widespread. The effects of reverse engineering on the overall quality of the company's end product is tremendous. Reverse engineering has led to an increase in quality of many products being manufactured in the tech industry today. There is nothing more frustrating than not having documented design data when working on a project. This can hold up manufacturing or end in a faulty product. Reverse engineering has you covered. By taking a product apart, engineers can create a roadmap of exactly what makes it tick. 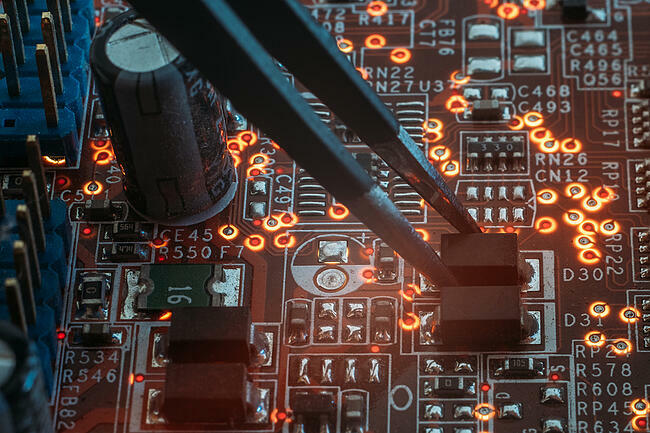 If you have a legacy product with obsolete components, reverse engineering can help you learn about how that component works and give you the information you need to find or create replacement parts. Reverse engineering your product gives you the opportunity to understand how your product functions under different situations, and with different components. Everything dies at some point right? It’s important to find ways to make your product better, stronger, and last longer than it did before. Have a part that’s failing? Reverse engineering can give your product new life by finding a new way for your product to function. Reverse engineering can help identify critical design flaws that may lead to premature failure. Once these issues are discovered, changes can be made and your product can be improved. Furthermore, reverse engineering can uncover ways to streamline the manufacturing of your product without compromising quality. This can save money and sustain the life cycle of a good product that just needs a little updating. Competition is healthy, and while reverse engineering is often used to study a competitor's product, it can help improve your own too. Innovation is required to stay ahead of your competition. Reverse engineering can provide new eyes and new ideas for your product and make it better than before. It allows you to develop new ways to use your product, potentially create a smaller footprint and make your product more efficient. reverse engineering, developers can continue to push even better products to market. Whether it is a printed circuit board, electronic assembly and enclosure, or any other product, Levison Enterprises can help you with your reverse engineering project. We can help bring older technology up to date with modern functionality requirements and we work directly with our clients throughout the entire process. Our expertise and superior attention to detail allows us to consistently meet and exceed expectations. 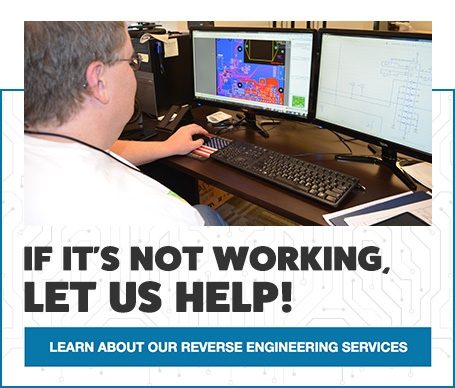 Contact Levison Enterprises today to see how we can assist you for your next reverse engineering project.